Even though we offer a wide range of services, there are still home owners out there who would rather to do some of them on their own. 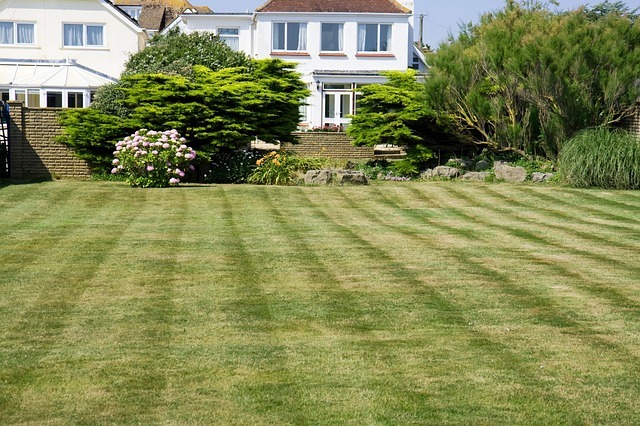 It is not a matter of not being able to trust someone else to do it, but it all boils do to how they feel when they take a look at their lawns after they complete a job. Do not mow your lawn in the same direction each time you cut it. Grass tends to grow in the direction that it is cut, so changing the direction of the cut each time ensures even mowing of the grass. Check for stones or pebbles that may be present in the grass. 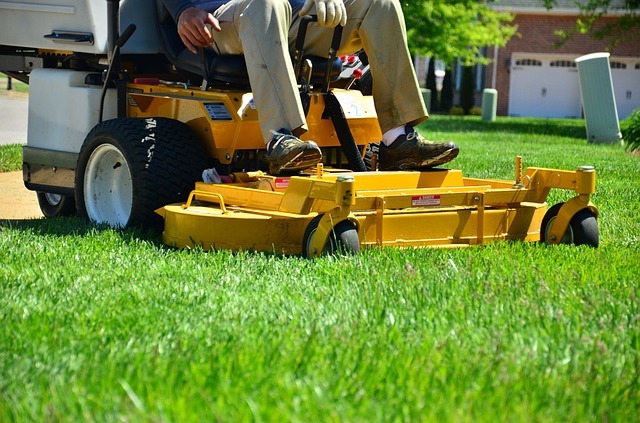 They can pose a danger to the lawn mower, other people, and your property. Stones have been known to fly from under lawn mowers and break windows, hit people in the eyes or elsewhere on their bodies, damage car paint jobs, and even damage the cutting blades of the lawn mower. Take a few minutes before mowing each time to check for stones. Remove and dispose of them far from the lawn. 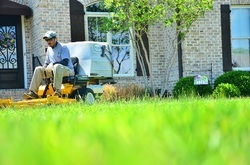 This can save you a lot of money in damages and makes cutting the lawn a lot easier. Before mowing your lawn, check for weeds. Some weeds carry seeds that can end up all over your lawn when the grass gets cut, making your weed problem a lot worse. All you have to do is kneel down and carefully inspect the grass for any signs of weeds. Instead of simply pulling the weeds out, which can leave the roots in the ground, use a knife with a V-shaped point to dig up the soil around the weeds to loosen the dirt and ensure that the roots come up with the weeds. When fertilizing your lawn, it is best not to use chemical fertilizers. They are very dangerous and can negatively impact other plants as well as ground water. 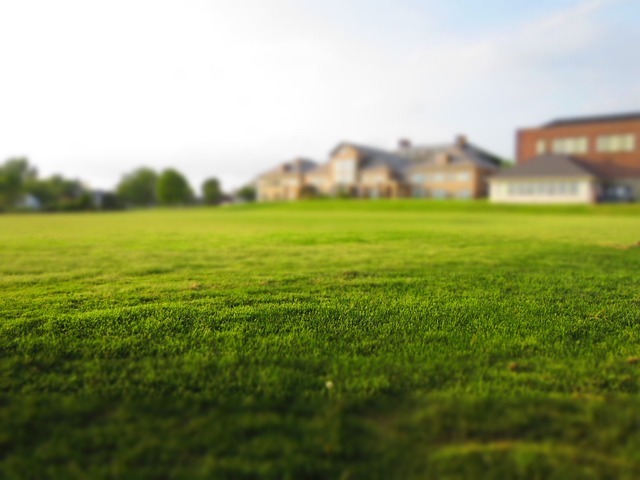 If the wrong concentrations of chemical fertilizers are used, it can end up damaging the grass. 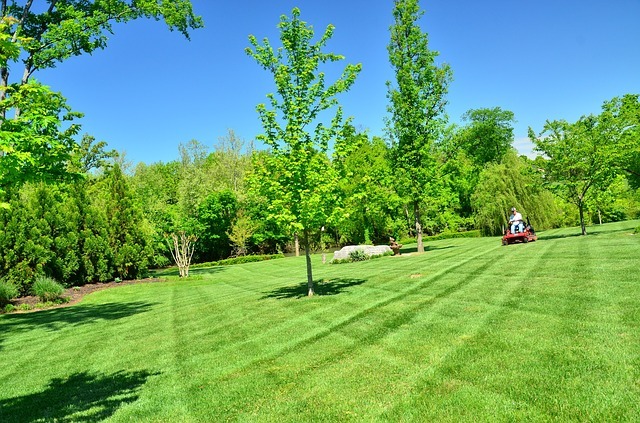 It is therefore best to use organic fertilizers that are environmentally-friendly as they are friendly to both grass and other plants in your lawn. Follow the instructions on the packaging very carefully when mixing the fertilizer to ensure you do not use too much. Mix fertilizers in well-ventilated areas. All safety precautions should also be adhered to, like wearing eye protection (goggles, for example), hand protection (gloves, for example), and in some cases nose protection (gas mask, for example). When pruning and trimming trees and shrubs, ensure that you use the right tool for each job. Pruning shears are to be used for pruning jobs while trimmers should be used for trimming jobs. Make sure that they are properly sharpened or else you will have to work harder to cut the branches and you may not get clean cuts. In some cases, depending on the size of branches to be trimmed, a chainsaw or handsaw may be needed to remove them. Be very careful when using those tools and ensure that you have on the correct safety equipment like goggles and cloth gloves. Ear plugs may also be needed depending on the loudness of chainsaws. When trimming and pruning, cut as near to the joint as possible. If you are cutting high limbs, use ladders that have proper locking and anti-slip mechanisms in place. In the event that you have to climb the tree, use a harness to keep you anchored to the tree as well as boots with spikes to prevent you from sliding down the tree while working. When doing edging, keep the distance between the grass and curb equal all around. To do that, you can use a measuring tape to set the distance and then use wooden pegs to mark the spots where the edging ends. Use a sharp lawn edging knife to cut your way around the grass, carefully following the wooden pegs to ensure equal cuts. Remove all the grass between the cut and curb using your hands. You may have to dig down a bit further to remove more of the grass root and some of the soil to make the edging more evident and uniform. Rake away any left-over grass and use your hands to smooth off the exposed area. Each week, check to ensure that grass is not growing back in the bare area. If there are any signs of growth, remove them immediately. Also check for weeds that may try to grow in that area. When you notice that your grass is not doing very well despite being watered and fertilized, it may need to be aerated. In order to aerate your lawn, you will need either a plug aerator or spike aerator, either of which can be bought at your local hardware store. You can also rent the tools from a local home improvement center or lawn and garden store. The tools come with instructions on how to use them, so follow the directions carefully. The recommended tool to use is the plug aerator as it produces the best results. The one you buy should be able to remove soil up to 3 inches deep, 0.75 inches in diameter, and 3 inches apart. Before aerating, ensure the soil is moist. Make multiple passes over the most compacted areas. Allow excavated soil plugs to dry and then break them up by running a lawn mower over them or using the back of a rake to pound them to make your lawn look uniform. 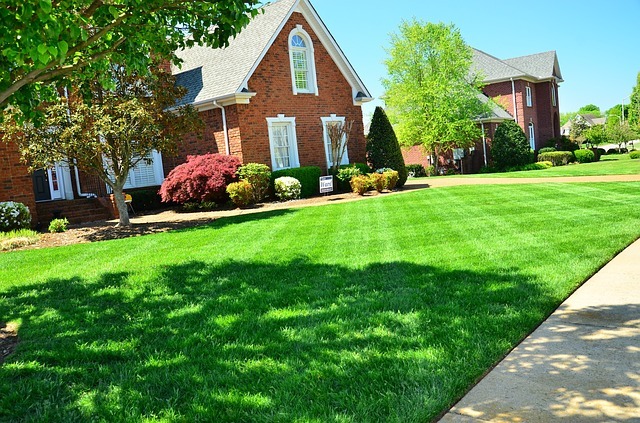 After aerating your lawn, you must continue watering, mowing, and fertilizing it. When raking your lawn, use a fan rake with leaf claws to heap up leaves and other debris into a pile. Fan rakes glide easier over grass and pick up more debris each pass than iron teeth garden rakes. You can also use a leaf blower to blow the leaves into a central heap from which they can be easily removed from the lawn.